Capitol Paralegal was one of our earlier clients, coming to us in 2012. 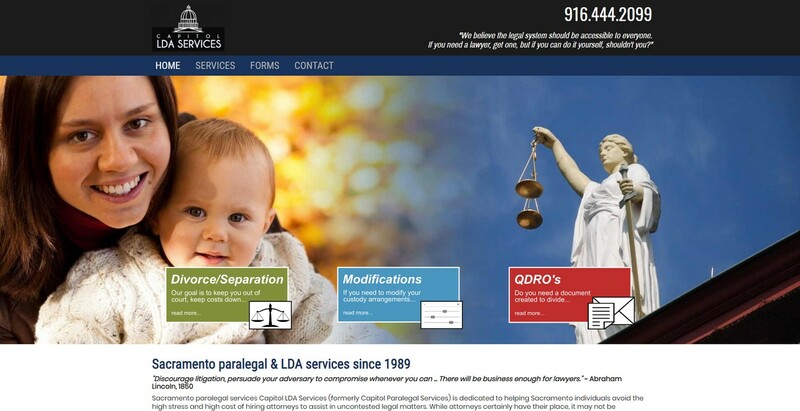 They didn't have a website for the paralegal side of the business (husband attorney, and wife paralegal), so we got them together a site that conveyed where they were at then. Since that time, their focus and structure has changed so we completed a total revamp earlier this year. The site got a more modern look and we redid many of the graphics. plus updated content.